Stunning New Construction in Prestigious Nassau Shores 3,900 sqft including the swing in 2 car garage! 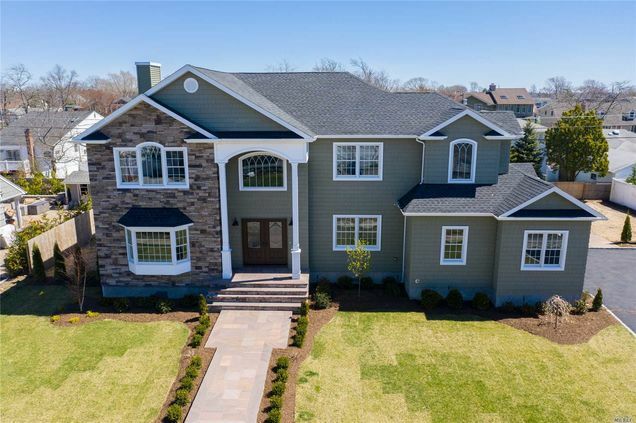 Seats on a oversized property of 120x000 with waterviews, Elegant 2 story entrance, Custom EIK with REAL Italian Marble counter tops, Huge Center Island, BOSCH Appls w/double oven, Familyroom w/Gas Fire Pl, Spectacular Master Suite w/ Enormous WIC & Bath w/ standup shower and Soaking tub, Anderson 400 series windows, white oak hardwood floors,CAC, 5 zone Sprinklers, wired for entertainment. Hello, I’m interested in 70 Greatwater Ave and would like to take a look around. 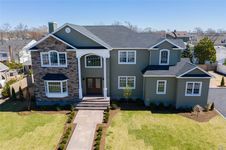 The details on 70 Greatwater Ave: This house located in East Massapequa, NY 11758 is currently for sale for $1,200,000. 70 Greatwater Ave is a 3,900 square foot house with 4 beds and 2.5 baths that has been on Estately for 8 days. This house is in the attendance area of Massapequa High School and Mhs Ames Campus. Listing Courtesy of: MLSLI and EXIT Realty Premier.